I’d like to allow my attendants to choose any dress they want, as long as the dresses are all the same length and color. Are there any drawbacks or things to consider? I want to make sure they all enjoy and look good in the dresses they’ll wear (and have to pay for!). Having bridesmaids coordinate, rather than match exactly, is one of today’s most important wedding trends. 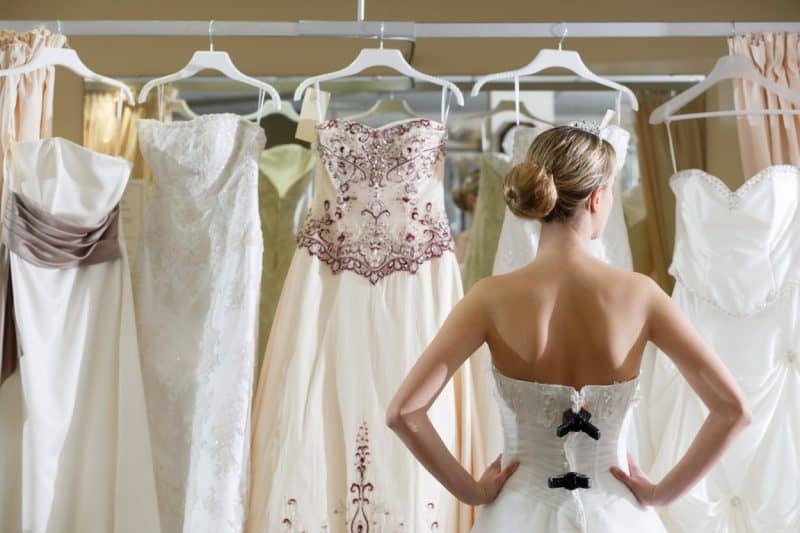 As you’ve noted, letting the attendants choose their own dresses is an easy way to make sure that each woman has a dress that suits her body type and personal style-and that she truly can wear again. Keeping the hem lengths and dress colors consistent is an excellent place to start. Now, imagine for a moment that you’ve specified “floor length, royal blue.” Just looking at today’s popular bridesmaid styles, you could have one bridesmaid show up in a shiny satin tank dress, a second bridesmaid appear in a blue velvet top with a bouffant taffeta skirt, and a third bridesmaid arrive wearing a flowing blue crepe dress with an empire waist. These women seem to be attending three very different weddings. So how do you avoid bridesmaid fashion chaos without inflicting a bridal stranglehold on your attendants’ personal style? Start by defining the general mood of the wedding, so that your attendants understand the occasion they’re dressing for. If your tone is night-time elegance, the appropriate look is long, slim dresses with short or no sleeves. Your attendants can still decide if a narrow skirt or a slim-cut A-line is the best way to achieve a slender, elegant, polished look; likewise, they can choose their own favorite necklines and sleeve variations. The general mood of the wedding goes part way toward narrowing your attendants’ choices of fabric. “To shine or not to shine” is an important question, as shiny and matte fabrics rarely look good together and seldom seem to be equally formal or informal. Worse yet, a shiny hunter green and a matte hunter green are seldom the same color. Do you want to see your attendants in velvet, crepe, shiny satin, matte satin, floaty gauze, or a matte fabric with a cotton or linen finish? Fabrics within the same family of weight and shine go a long way toward providing a coordinated look. Next, narrow down the range of colors. Since there is no industry standard for “navy blue” or “hunter green,” telling attendants to pick a single color can be risky. There are several ways to reduce this risk. First, you can choose a color and fabric combination that minimizes the likelihood, or at least the visual impact, of differences in shade. While black is not yet a universally accepted color for bridesmaid dresses, many brides have had success with asking their attendants to each wear a black velvet dress of the attendants’ choice. Similarly, white and off-white daytime dresses in a cotton-type fabric tend to visually blend together regardless of differences in shade. Second, you can specify a range of coordinating colors rather than a single color. Most dusty pastels go well together, as do most jewel tones, most autumn tones, and most bright pastels. A range of colors from white through ivory to beige also looks coordinated. This plan reduces the likelihood that two bridesmaids’ different interpretations of “pink” will clash horribly-and if they do, you can always put a blue attendant between them. For inspiration on coordinating color schemes that are stylish right now, head for a major department store. You can look for a placemat set that expresses your wedding them-or that you just plain like-and use that as the basis for mixing colors, or you can look in the scarf section for inspiration on this year’s fashionable looks. Third, if having “the same” color is really important to you, consider going shopping with the bridesmaids or ordering all dresses from one manufacturer, so that they can choose different styles that come in roughly the same fabric. Major bridesmaid dress manufacturers often create several different dresses that can potentially coordinate. Fourth, get a fabric sample, paint chip, crayon, or good look at the bridesmaids’ dresses before you choose flowers for their bouquets. You can use your flower choices-and any ribbons dangling from the bouquets-to help unmatching dresses coordinate. The right flowers can make even a “difficult” combination like light pink, bright pink, and peach into a coordinated look.